0.1 So what is the solution you ask? 2 What all you can do with this extension? 3 What more do you get? So what is the solution you ask? While looking for a perfect solution for our clients, we came across this Magento 2 extension called ‘Customer Approval by Hungersoft.’ This extension works flawlessly and does what it promises, really well. We like it so much that we ended up suggesting it to most of our clients who were facing this problem of fake customer accounts. 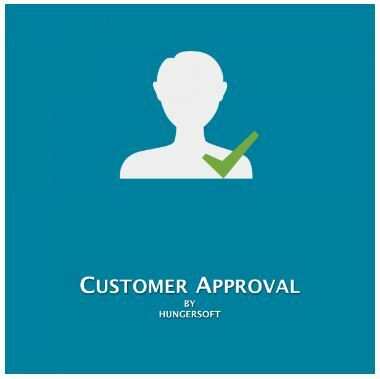 Customer Approval extension by Hungersoft allows you to block new customers from accessing the private customer-related areas unless the store admin approves them. That is particularly helpful in case of B2B or wholesale businesses who sell either to their pre-existing customers or customers after verifying their details. Store owners who require having the ability to ban a customer from their store. Anyone who wants more control over what your customers can and cannot see. How does this Customer approval extension work? This extension works by holding all the new customer registrations in a pending state (unless auto-approval is enabled). When a customer application is in pending state, that customer cannot log into the store. The admin can then decide whether or not to allow the customer to access the private areas of the site. The admin can change the status of the application from Pending to Approved if they want to allow the customer into the site or Rejected otherwise. 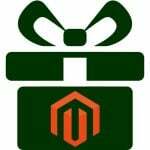 You can easily control all features of this extension from Magento backend. You can enable or disable the plugin, of course. You can also configure it to auto-approve the customer registrations. 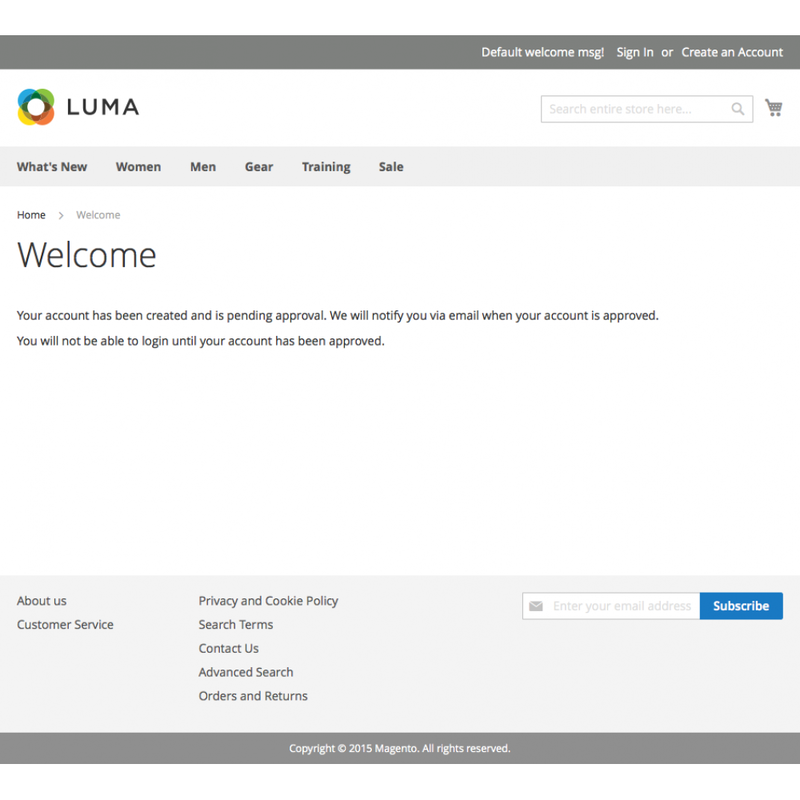 You can also see the customer account status right from the customer account list page. How does the store admin approve or reject customers? Using the mass/batch action method in the Manage Customers grid to update more than one customer’s registration status. That is very helpful when you want to batch update the status of many customers in one go. If you want to update the status of a customer but do not want to go into the customer edit page, you can do it right from the grid by using the action provided on every row for every each customer. Lastly, you can go the customer edit page for a particular customer and click on the buttons at the top to Approve/Reject that customer. The extension can also be configured to send out notification emails of changed customer application status. The module also comes with separate email templates for approved and rejected status. 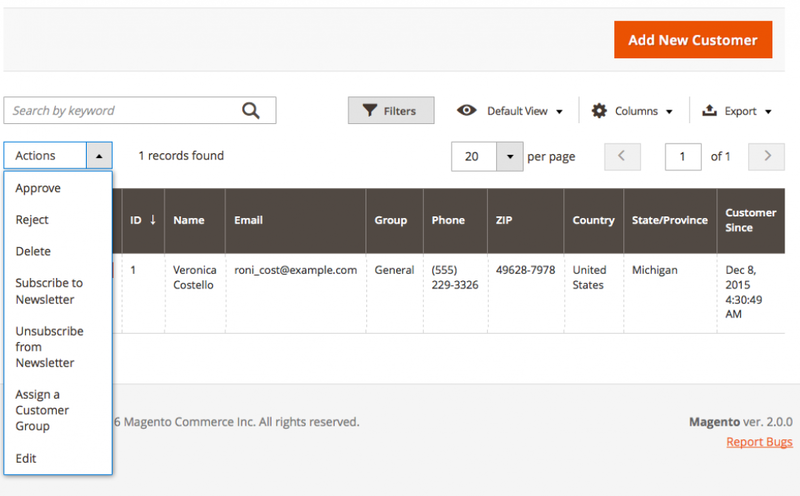 You can also notify the admin(s) when a new customer registers on your store. Packaged into the extension is a different email template for alerting the admin of any new customer registrations. 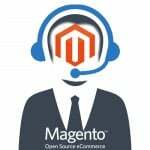 On Magento frontend, as soon as the customer registers on the website (when auto-approval is disabled), the customers can either be redirected to a custom page/URL or shown a message, both of which are configurable in the admin. Until the customer registration is approved, that is what the customer will see when they try to log into the website. What all you can do with this extension? You can easily allow or disallow customer from the ‘Manage Customers’ grid row in the backend. 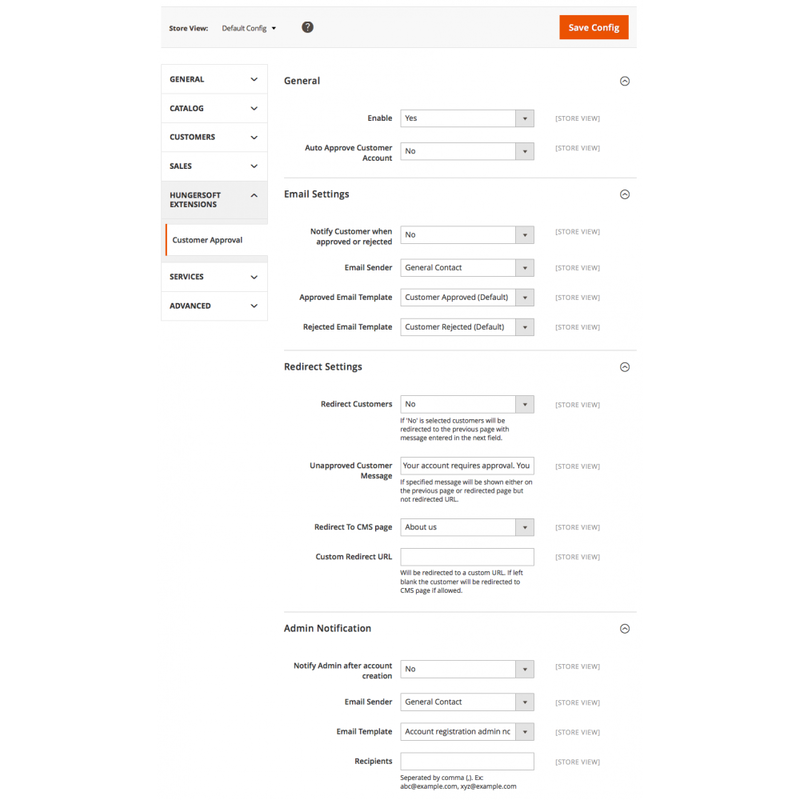 You can reject or approve multiple new customer account applications in a batch from ‘Manage Customers’ grid section of Magento 2 backend. You can also open an application, check its details and then approve or reject it based on provided information. It also displays customer approval status for each customer account in backend ‘Manage Customers’ section. You can choose to configure it to approve or disapprove customer account applications automatically. When a customer creates an account on the frontend, but it gets disapproved, but the customer still tries to log in then you can redirect unapproved customers to any URL you want using this extension. It also notifies specific email IDs when a new customer registers on the webshop. It can send that notification to multiple email IDs if you want. You might also want to notify a customer if their application was approved or rejected, the module does that as well. You can also manage these notification email templates or also choose to use the ones that are included by default, like approval, rejection, and admin notification email. Customer approval extension by itself is good enough for having a private sale, manage customers account better and easily, etc. But when coupled with Hide Product Price extension by Hungersoft, it takes you to a different level, by allowing only registered customers who belong to selected customer groups, view product prices and purchase the products on your store. Nice guys at Hungersoft also provide free support and upgrades up to 1 year for all their extensions. 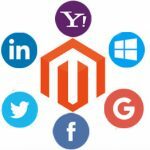 They provide prompt and able service whenever you need it and even offer customization and further development services if you need more. So what are you waiting for? 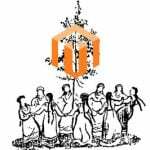 Install Customer Approval extension by Hungersoft in your Magento 2 webshop and block those pesky spam customer registrations.